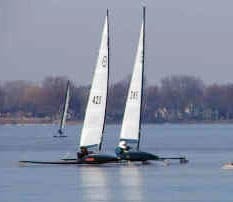 The Vice Commodore hunts down the Commodore on Lake Mendota. The Commodore and Vice Commodore lead the pack. We had a good turnout at last night’s 4LIYC meeting. Renegader Don Anderson was elected Commodore and fellow Renegader Tim McCormick was elected Vice Commodore. Jerry Simon agreed to serve as Treasurer again as well as myself as Secretary. Many thanks to outgoing Commodore Ken Norton for all he accomplished for this club. We hosted some major regattas during his tenure and Ken was always checking ice and making sure everything ran smoothly behind the scenes. 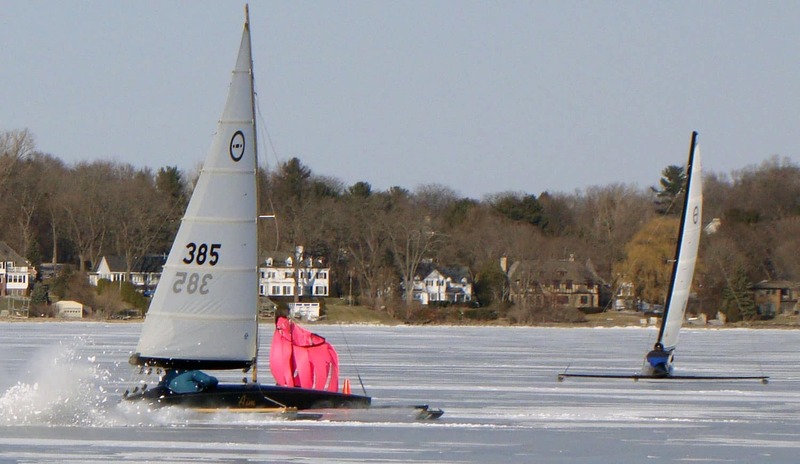 Ken is a “doer” which is what makes a successful ice yacht club. Also much gratitude to outgoing Vice Commodore Geoff Sobering who always steps up when needed. 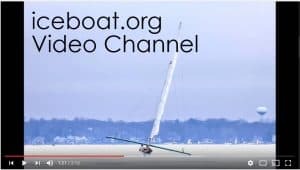 Thank you two for keeping this iceboat club one of the best around.